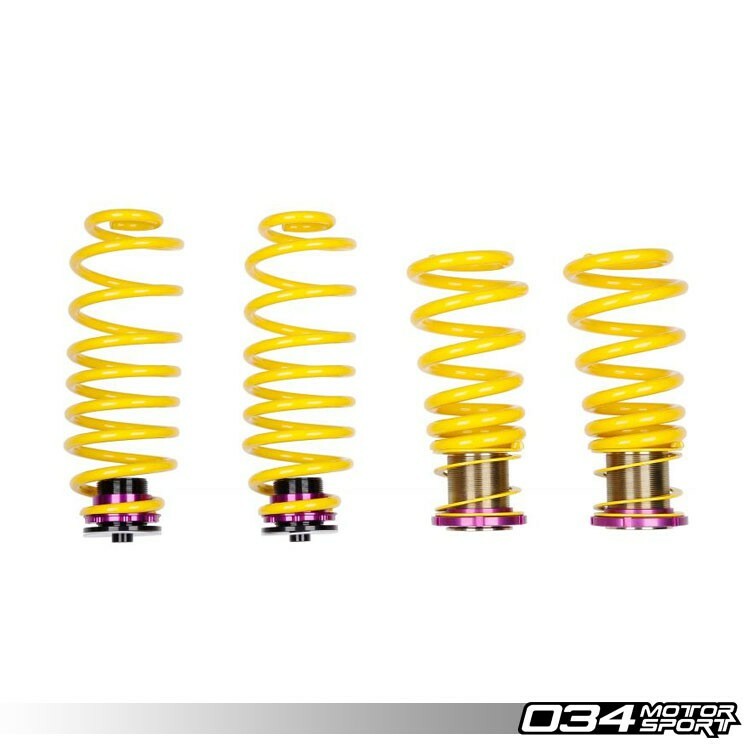 KW's Height Adjustable Spring Kit for the B8 Audi SQ5 3.0 TFSI is a great alternative to conventional springs. With the KW H.A.S. 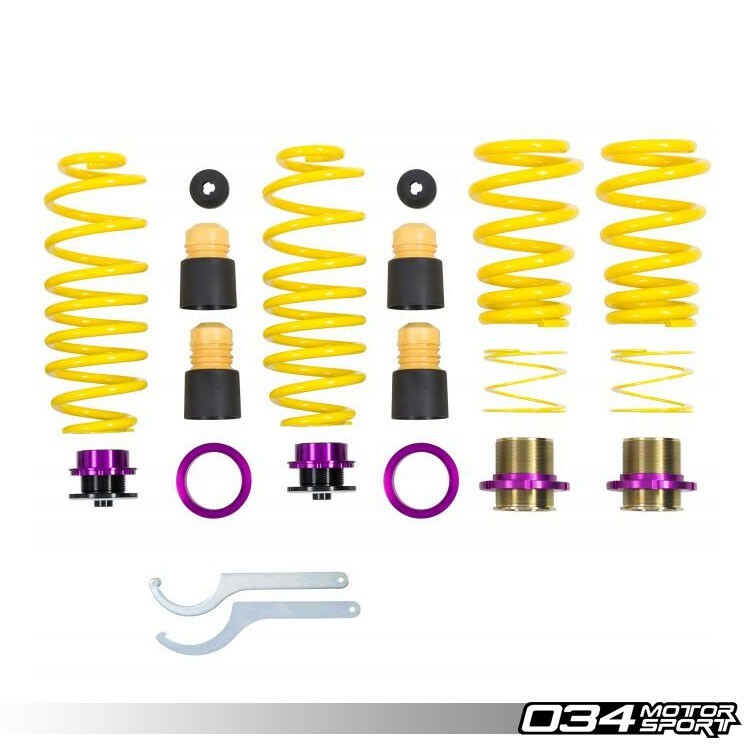 Kit, you can adjust the ride height of your Audi with the included KW Height Adjusters after the Lowering Spring Kit has been installed, so you don’t have to settle for a fixed amount of lowering. This system is designed to work with or without the optional Audi Adaptive Damping Suspension. 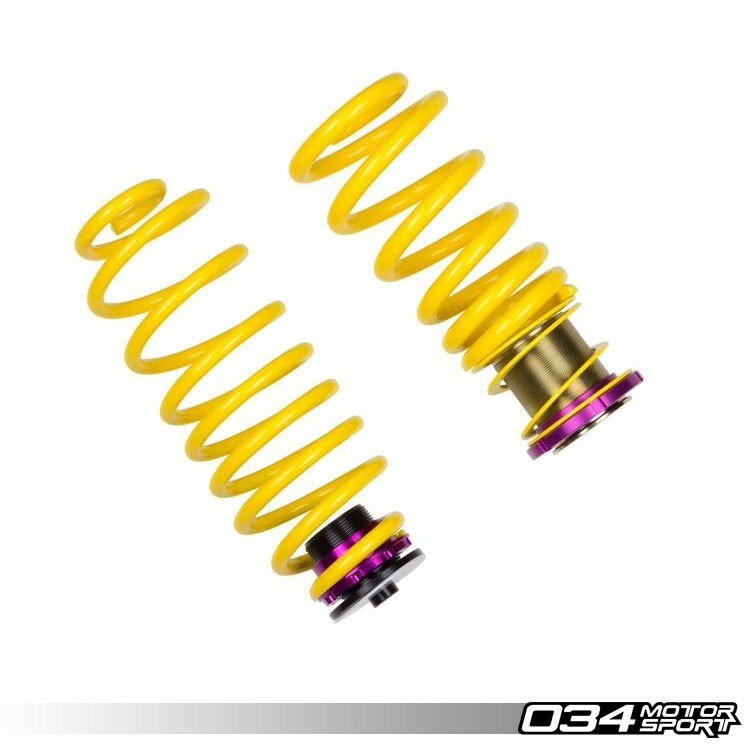 KW Height Adjustable Spring Kits for the B8 Audi SQ5 3.0 TFSI are a great alternative to conventional springs. You don’t have to settle for a fixed amount of lowering, as you can adjust the ride height of your Audi with the included KW Height Adjusters even after the Lowering Spring Kit has been installed. The KW Height Adjustable Spring Kit offer improved looks, but improves driving dynamics and steering response with the factory-installed dampers. KW developed this vehicle-specific Height Adjustable Spring System to retain the factory electronic driver assistance systems and comfort features of the optional factory dynamic suspension. The result is a lower, better handling vehicle that retains the factory dampers while allowing for height adjustment. With conventional lowering springs you have to decide on your static ride height from the beginning, but not with the KW H.A.S. Kit. Depending on the vehicle specific application you can change the lowering within the adjustment range with the threaded spring perch when the springs are already installed. You will not have any difficulties to adjust the lowering when changing your wheel/tire combination. Every KW H.A.S. 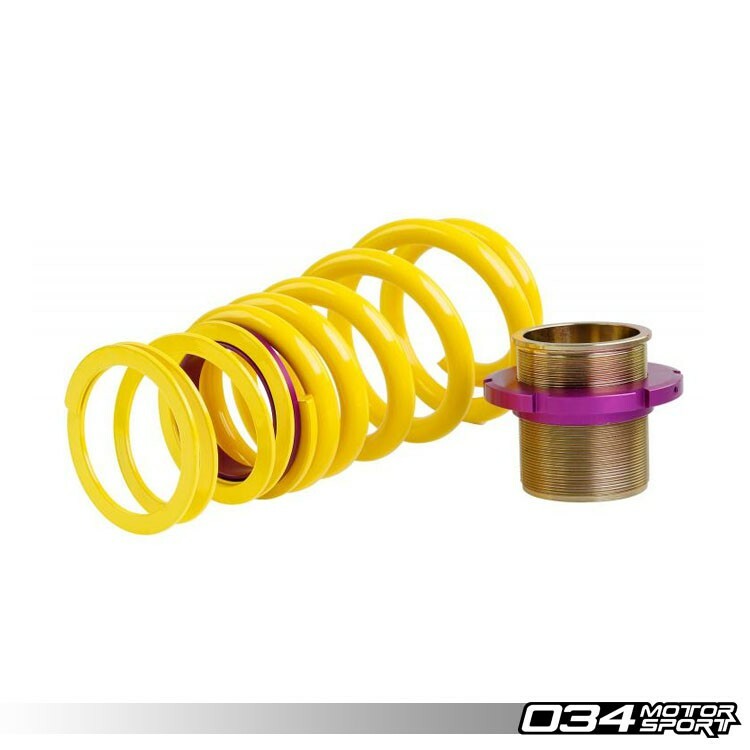 Kit uses high-quality springs made of chrome-silicon steel which are specifically designed for use with your vehicle's factory suspension dampers and wheel loads. Every KW H.A.S. Kit is engineered to perform in harmony with the damping characteristics of the optional factory adaptive suspension.